Erin Blegen: My Scrap Cabin: Prima Marketing: Remaining CHA Projects! 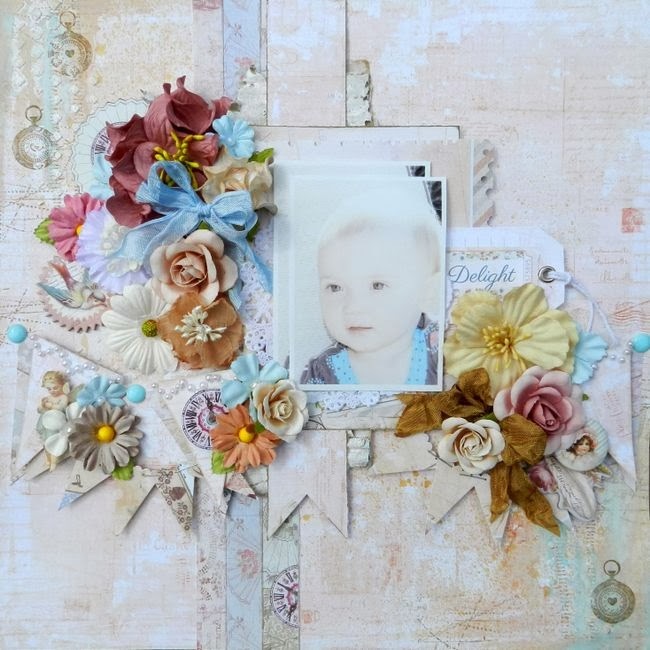 I just love the soft, pretty pastels of the Delight Collection- perfect for scrapping my little girl. With images to hand-cut, printed chipboard, flair, tags, flowers and more- there are just so many options for layering and creating to your heart's "delight"!! Next, I have a tag! Oh, how I can relate to the woman on this tag! Yes, I decided both images were of the same woman- the first of a tired, often overworked mom like myself; the other of the woman she wants to (and should!) be. Sometimes we all need to be reminded of how strong and amazing we all are! 813352- Everday Vintage "Love Letter Kit"
Such a gorgeous layout, love all the flowers and the photo is delightful too, and fabulous and classy tag! A super soft and sweet page! Gorgeous projects Erin!! You are always so inspiring!! Ja Erin de lyse farver er så smukke, og hvor har du sat dem godt sammen så de passer til det søde billed af din lille pige. knus morkaren. Love your creations! The banner with the flowers on the lo looks so pretty and that tag is just stunning! These two projects have to be among my favorite of your's! Though I don't have any yet, I love Jodie Lee's papers and you have showcased them so beautifully here. The layout out is totally wonderfully feminine. Of course, since I love tags, this one is gorgeous in every way. Love it...you inspire me!! 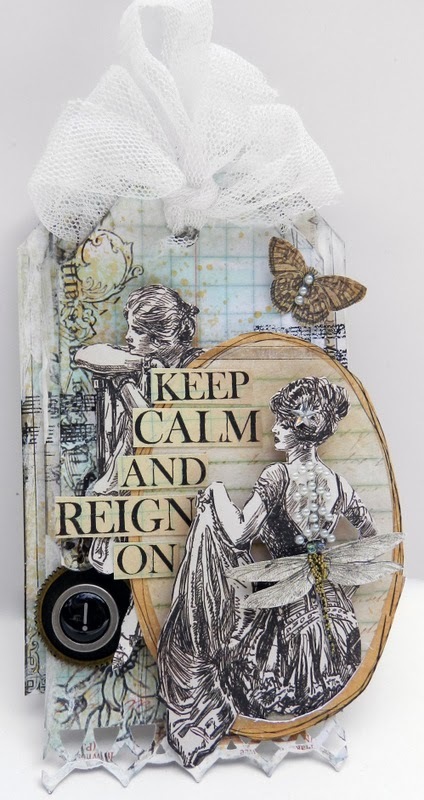 Love the soft,pastel colors of the 'Delight' collection,so girly....Your "keep calm" tag is gorgeous!! Creative! Love the dragonfly on her back!! I love the soft and dreamy page. Gorgeous flower clusters. Oh, these are fabulous! Your work for Prima is always so beautiful! Beautiful projects Erin, and I know they were stunning in the Prima booth! Hope they can get everything taken care of with your computer! It's never fun having computer issues! !